Got a new toy today! Yippee! He's really colourful and fun to play with! 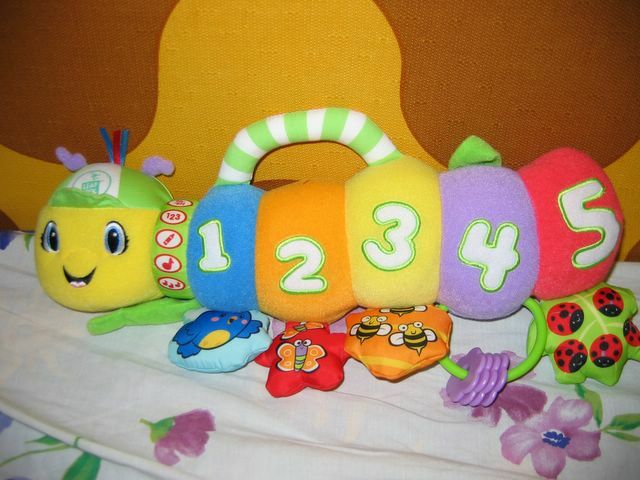 Smiley Jr. is able to teach me to count from 1 to 5, differentiate colours, and also sing songs to me. He's also able to play classical music leh... High class stuff huh? Heh. Too bad he ain't got any legs for me to bite, unlike my previous Smiley. Oh well, you can't have everything!